The Miami Heat are on top of the Southeast Division at 5-2 and the news and rumors have been coming out. 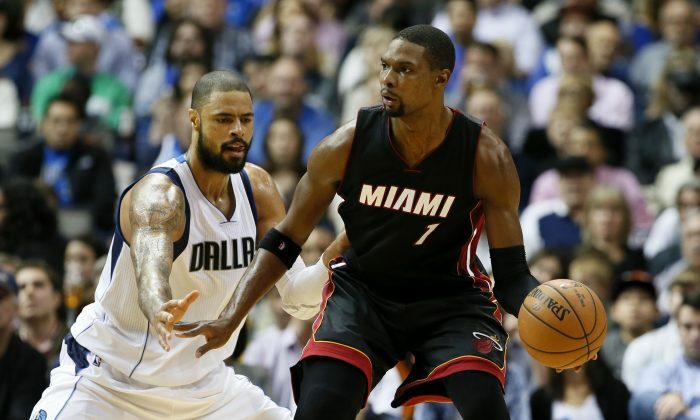 Chris Bosh is steadily shedding the label of being “soft,” reported the Miami Herald. “Bosh isn’t soft. The opposite is true, actually, and he is proving it now in more conventional ways in his new, leading role with the Heat,” it said. Bosh is among the league leaders in rebounds and is averaging 23.6 points and 10.3 rebounds. “I told people I could rebound a long time ago — I told people that,” Bosh said. “If [Bosh] takes a break on that side of the floor, we’re not going to win, and he understands that just as well as anybody,” Spoelstra added, referring to defense. Meanwhile, NumberFire says that Bosh is an early MVP favorite, using a statistic that the website created to measure a players’ overall impact. “It’s a player ranking that measures the total contribution of a player throughout the course of a season, based on their efficiency. The league average is 0. Comparable to win shares, this ranking gives an estimate of how many games above or below .500 a league-average team would win with that player as one of their starters,” it said. Bosh is third in the early MVP race, just behind Stephen Curry of the Golden State Warriors and Anthony Davis of the New Orleans Pelicans. Dwyane Wade is back in his comfort zone seven games into the season. In contrast to last season, in which he missed 28 games, including a number of back-to-backs, Wade just played through six games in nine nights, including three back-to-backs–matching his total from last season. He finished the run with 20 points and 10 assists in Sunday’s win over the Mavericks. He even felt good after back-to-back losses to the Houston Rockets and Charlotte Hornets. “I told Coach, obviously coming out of four [games] in five nights, we lost two of those — I said, ‘Well, I had an individual victory, playing my best on the last night of those,” Wade told ESPN. Wade, who is averaging 19.7 points, a team-high 6.9 assists and 3.4 rebounds while shooting 51 percent from the field, has been putting the work in. “Every year is different. 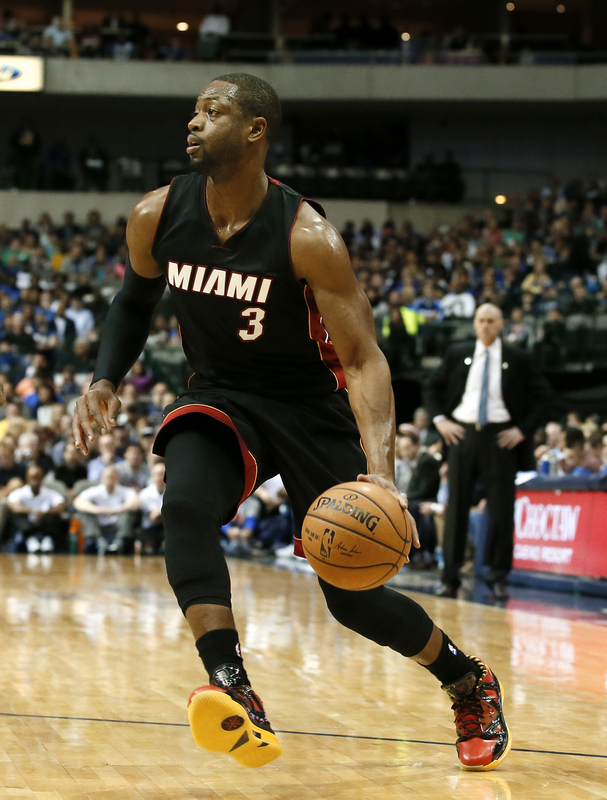 Last year was last year,” Wade said. Allen to Return to Heat? A Heat fan wondered whether there’s a chance, given the Heat’s success and newfound energy, coupled with their need for a backup shooting guard, that Ray Allen would return to the team. “I just think with the way it ended last season that several players felt the need for fresh outlooks and the Heat felt the need to cut ties, for some of the reasons you mentioned,” responded Ira Winderman of the South Florida Sun-Sentinel. Allen has been linked to a number of teams, including the Cleveland Cavaliers and Washington Wizards.